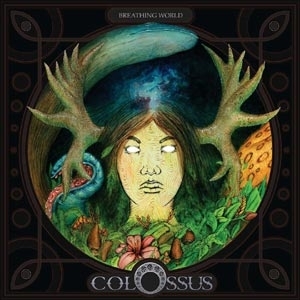 The Breathing World. 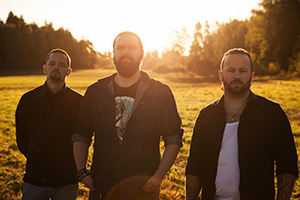 Recorded in Big Island Sounds together with producer Tom van Heesch (Rammstein, Michael Monroe, Backyard Babies) the album takes off where Wake ended and follows the protagonists crooked journey to clarity in a surreal and mysterious but deeply human world. With a heavier production, more experimention and esoteric song structures the band sounds more confident than ever before and delivers a mature and coherent piece that will captivate old fans and attract many new listeners. 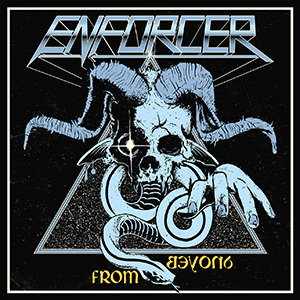 Grooving and shredding death metal from The Netherlands! From the foundations of several Dutch metal acts like Sinister, Houwitser, Supreme Pain and Deadcell, Bleeding Gods was born in late 2012. After he had left Houwitser in 2012, Ramon started to write a basic demo album. When the pre-production demo was done, the time was there to look for the right people to join in. Some fellow metal-musicians, contacts from the past years on several festivals, club shows and tours were asked. 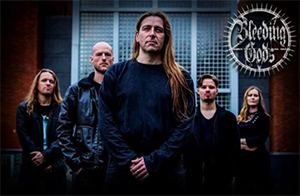 The former bands of all the guys and girl were (technical) death metal and industrial bands, so the challenge to do something different this time was attractive. Less technichal, more groove and most of all; heavy. 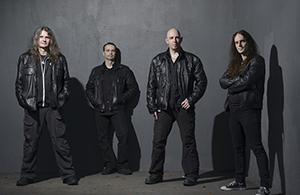 Bleeding Gods plays grooving and shredding death metal with some thrash influences in it. After a couple of rehearsals in the beginning of 2013, Bleeding Gods recorded their 4-track promo in early April. The lyrical theme of Bleeding Gods is about Ancient Gods, wars and history like the Mayans, Inca’s , Ancient Egyptian and Greek Gods. With this 4-track promo entitled ‘Blood Symphony’, Bleeding Gods introduced themselves worldwide to the press, labels and audience. 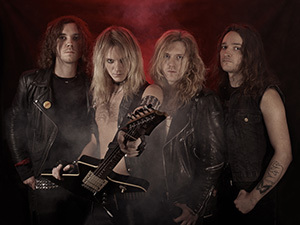 With the pre-production demo, Bleeding Gods got worldwide endorsement deals with ENGL Amps, Serpent King Guitars (SKG), Balbex and Cympad. 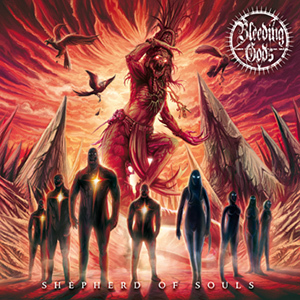 In September 2014 Bleeding Gods recorded their (10 track) new (debut)album ‘Shepherd of Souls’ in the German Soundlodge Studio together with the producer Jorg Uken. This is not a typical soundtrack or musical or rock opera. 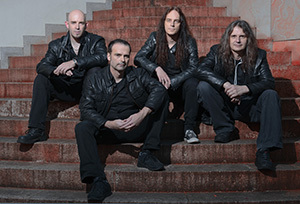 It is, simply, typical BLIND GUARDIAN. 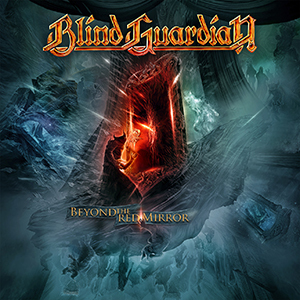 Set for release in early 2015, »Beyond The Red Mirror« has raised the bar on the gold standard trajectory the band had set themselves on when they first formed. 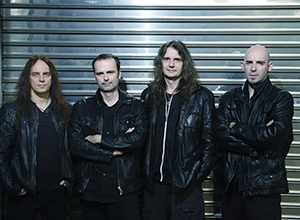 Contemplating the band’s extremely successful thirty-year career when asked to describe the band’s guiding principles for the creation of this new release, BLIND GUARDIAN guitarist André Olbrich shares: “We want to surprise and impress with our music. Nowadays, music tends to be arbitrary and predictable. 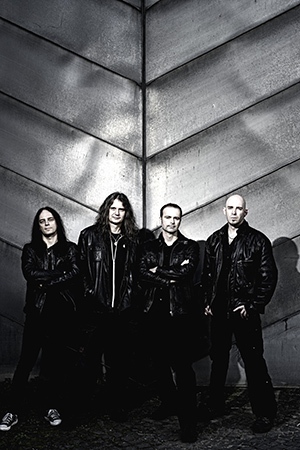 But we want to keep developing our music.” This strategy has been followed to the letter and there will be nothing comparable to this anywhere in the panorama of music until BLIND GUARDIAN decides to record again. It’s been over four-and-a-half years since the release of 2010’s world-renowned »At The Edge Of Time« album (which debuted at #2 on the German album charts and at #1 on the American Billboard Heatseekers chart & #108 on the American Billboard Top 200 Albums chart). In October of 2012, the band settled into Twilight Hall Studios in Grefrath, Germany with producer Charlie Bauerfeind (SAXON, HAMMERFALL, HELLOWEEN) to begin recording »Beyond The Red Mirror«. For the next two years, the band worked relentlessly at infusing their inimitable, emotion-rich music with classical orchestrations within and throughout. Working with three different classical choirs – one from Prague (the Czech Republic), one from Budapest (Hungary), and one from Boston (United States) – plus two grand orchestras featuring 90 musicians each, the brilliant, cumulative talents captured on »Beyond The Red Mirror« have generated absolutely spellbinding results that - at key moments - mimic the feeling of flying, making this new album everything BLIND GUARDIAN fans have been hoping for. 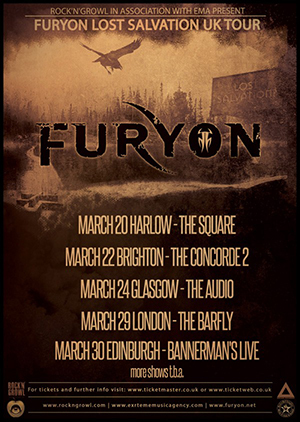 UK rockers FURYON have confirmed dates for a UK headlining tour in March 2015, in support of their second album release ‘Lost Salvation‘, due out on February 23, 2015 via Dream Records in UK/Europe. US/CANADA/JAPAN release dates to follow. FURYON recently have struck up a collaboration/endorsement deal with EU/US based clothing company Rock-n-Roll Gangstar. With the hot rock/metal look of Rock-n-Roll Gangstar, the band looking forward to performing in this new wardrobe. 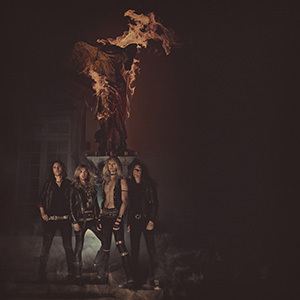 What’s to be expected is more explosive guitar riffs and solos in well-crafted song form. 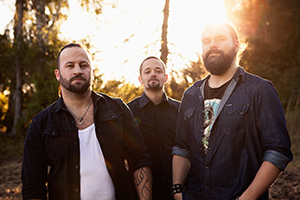 Expressive vocal delivery and melodies to scream along to. A possibly darker sound still with progressive elements and a grungy edge.